Dr. Gopi A - What is Hypertension? 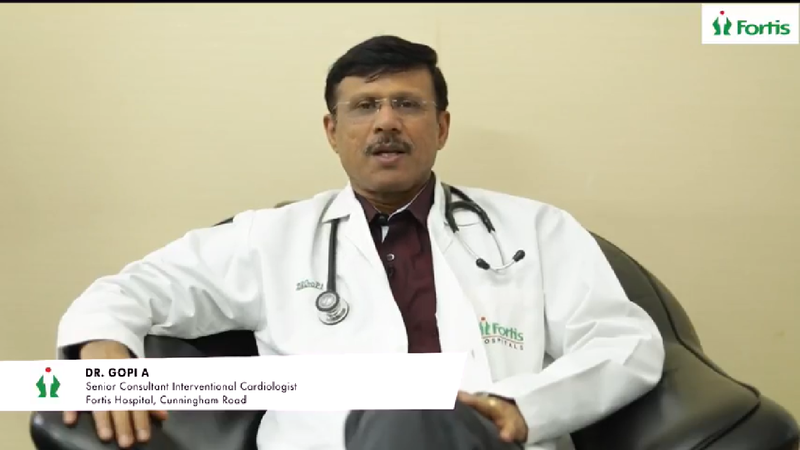 Dr. Gopi is an eminent cardiologist at Fortis Hospital, Cunningham Road with over 22 years of experience. He has close to 20,000 diagnostic & 4,000 interventional procedures to his credit. he has worked early with Wockhardt Hospital and Apollo Hospital in Bangalore. 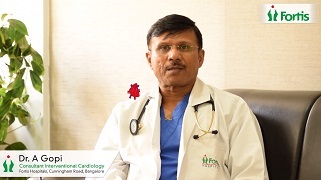 After finishing his MD in medicine from BMC, Bangalore, Dr. Gopi completed his DNB in medicine & completed his DM in Cardiology from Sree Chitra Tirunal Institute of Medical Sciences & Technology. He is also a fellow of the Society for Cardiovascular Angiography & Intervention (FSCAI), USA. Fellow of the American college of Cardiology, Asia Pacific Society of Interventional Cardiology. 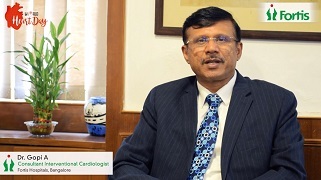 He is a past president of Bangalore and Karnataka chapter of Cardiological Society of India. He has rendered valuable service at many prestigious hospitals. CTO intervention & Structural Heart Disease (ASD, PDA, VSD, TAVI, Aortic Stent Grafting).